Today we are very excited to announce that we have launched a real-time IP blacklist for Wordfence Premium customers. This is something we have wanted to do for a long time because the benefits to our site owners are enormous. The new blacklist will completely block thousands of malicious IPs from making any attempt to access a Premium customer website. It will significantly reduce the risk of a hack, will reduce load on WordPress sites and improve site performance. What is the Wordfence Real-Time IP Blacklist? At Wordfence we monitor over 20,000 attacks per minute from IP addresses across over 2 million active WordPress sites that we protect. 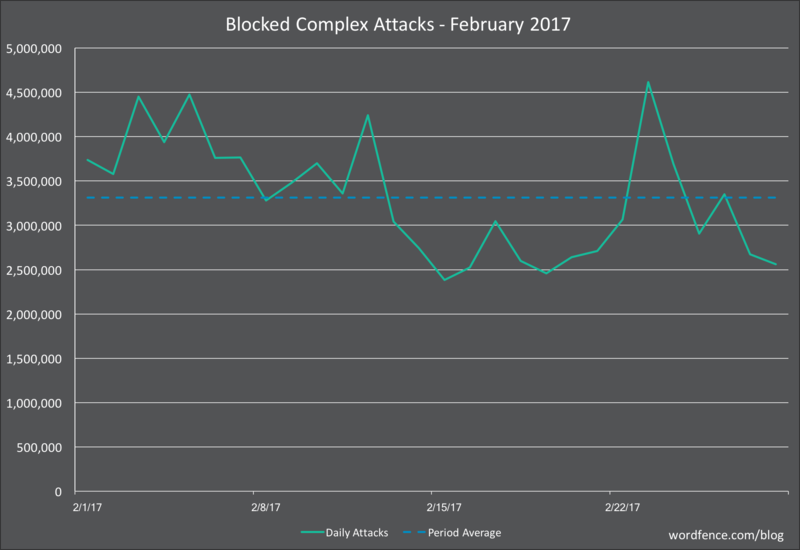 During the past year, we have been working to analyze this attack data to determine who the bad actors are while making sure that we don’t include any good guys accidentally. Using this data and powerful analysis capability that we brought online, we have the ability to distill our attack data into threat intelligence that shows us who the most dangerous IP addresses on the web are for WordPress websites at any instant in time. Attackers are constantly switching IP addresses on the web, so our list of the most dangerous IPs is refreshed hourly. 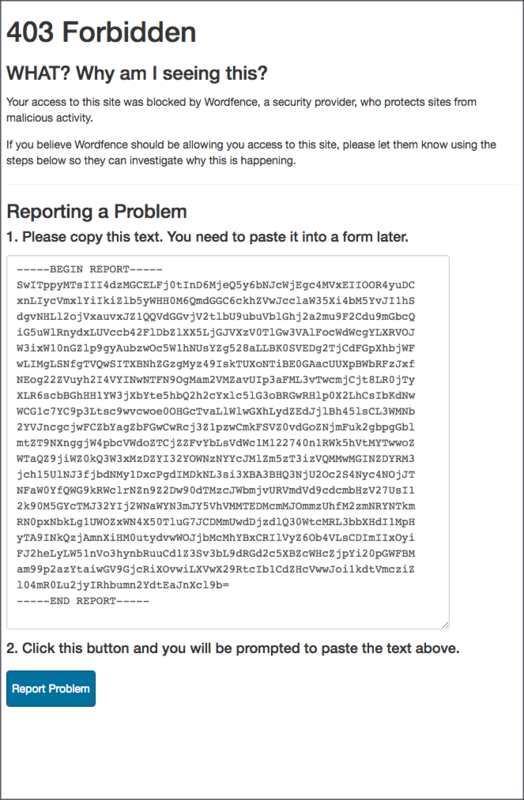 How does Wordfence Premium Get the Real-Time IP Blacklist? If you are a Wordfence Premium customer who has upgraded to Wordfence 6.3.4 or above, your site is already receiving the Wordfence IP Blacklist every 2 hours. The option is enabled by default and is active. Internally, our systems generate the list once an hour using real-time attack reports. Who are the bad guys that are being blocked? Most of the attacks that we see on WordPress sites originate from compromised servers. 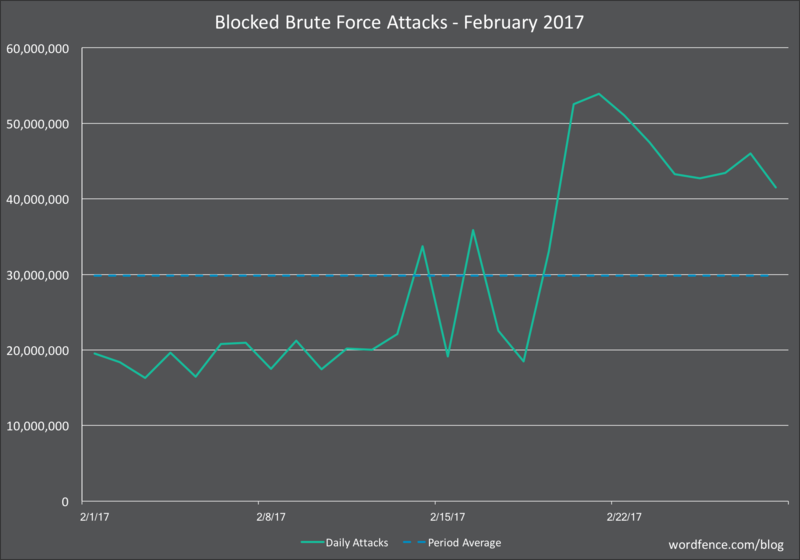 About 25 million attacks per day are brute force login attacks. Another 3 to 5 million are what we refer to as ‘complex’ attacks which try to exploit a security vulnerability in your WordPress website. We track the IPs that these attacks originate from and we monitor a range of metrics for each IP including the number of attacks, attack frequency, duration of the attack, the kinds of attacks they are engaging in, the number of unique sites attacked and much more. Using algorithms, we distill this data into a list of the most dangerous IPs that are attacking WordPress sites at any instant in time. How does Wordfence prevent good guys from being blocked? When we generate the blacklist, we run it through a series of filters which remove known VPN providers, reverse proxies, cloud WAF providers and other known IPs that can generate false positives. We have a series of filters that use a wide range of metadata about each IP address to determine if it is a false positive or not. Once the final list has been produced, we regularly inspect it for false positives to ensure nothing slipped through our filters. What we end up with is a list of the most dangerous IP addresses on the web that are attacking WordPress sites, right now. If a real visitor is blocked, this gives them the opportunity to report the false positive to us. They copy and paste an encoded block of text which communicates important information to us that we need to diagnose the false positive. These reports are aggregated per IP address in our issue tracking system and our team has access to them in real-time as they arrive. If a false positive sneaks into the blacklist for some reason, we react very quickly to it. Can I get access to the list of IP addresses? Unfortunately not. Due to the sensitive nature of the data, we use a hashing algorithm to protect the addresses of these attacking IPs. Many of the attacking IP addresses are infected machines that have vulnerabilities themselves that can be exploited. If we distribute the real-time blacklist, this may provide other attackers with a list of target machines they can compromise. For that reason, we have chosen to keep the list confidential. When your WordPress site is attacked by one of these IP addresses, Wordfence uses a hash prefix list to recognize a possible attack. We then confirm the attack by performing a lookup on our servers. If we confirm this is a malicious IP on our blacklist, the IP is blocked, and the block is cached. Absolutely not. We use a smart algorithm to determine whether or not we should run a check on our servers for a particular IP address. This algorithm ensures that well behaved IP addresses are only checked in very rare cases. In fact, on most sites you will probably never see a check run on a well behaved IP address. This algorithm also ensures that malicious IPs are checked 100% of the time. When your site gets the result back for an IP address, that IP is either allowed through or is blocked. In either case the ‘allow’ or ‘block’ is cached for a period of time so another lookup does not occur. This keeps your site running incredibly fast while blocking 100% of the IPs on our blacklist so they can’t consume your resources. Will this make my site faster? These attacks use a lot of resources on the target websites. Many of these attacks are brute-force login attacks which submit a form, perform a database lookup and slow down your site. With the new real-time blacklist, we block far more than just the top 25 websites. All of that malicious traffic doesn’t ever get to submit a login form or make any requests on your site. The Wordfence firewall executes before WordPress even loads and blocks these malicious IPs outright. By blocking these requests, Wordfence frees up resources on your site to improve performance for real visitors and search engines indexing your content. How is Wordfence launching this feature? We have spent a great deal of time making sure that the algorithms we use to generate the real-time blacklist are only filtering out the bad guys and letting the good site visitors through. The code that does the blocking has already been released and is active on our Premium customer websites. We have already released a small IP blacklist to our Premium customer sites. These are a few hundred IP addresses. Over the coming weeks we will gradually increase the size of that list until it covers several thousand IPs that are attacking WordPress sites across the web in real-time. As we expand the blacklist we are carefully monitoring false positive reports and responding to them in real-time by immediately removing an accurate false positive report. How is this different from the network based IP blocking that Wordfence has done in the past? The new IP blacklist is proactive. That means that if we know an IP is being malicious, it will be completely blocked from your site and won’t be able to access anything, make any malicious requests or consume any resources. In the past, Wordfence has used a reactive IP blacklist. This feature is still available to our free customers and appears on the Wordfence options page as an option titled “Participate in the Real-Time WordPress Security Network”. If this option is checked, a known malicious IP address is blocked from attempting to sign-in multiple times. The IP will get a single attempt, your site looks up the IP address status and, if it is malicious, the IP is completely blocked from accessing your site. The free brute force protection is reactive in the sense that an IP address has to attempt to sign into your site before we check its status and block it. The new blacklist is proactive in that every request from a known bad IP is completely blocked from ever accessing your site. This provides better performance and secures you completely against known malicious threat actors. Can I disable this feature? Yes you can. Simply go to the “Firewall” menu on your Wordfence plugin menu. Scroll to the bottom where you see a checkbox titled “Preemptively block malicious IP addresses “. You can uncheck that box and save your options to disable the feature. At what point in the Firewall are IPs blocked? The Wordfence Firewall rules execute first. This happens before any WordPress code is loaded and before any database queries have occurred. If a request breaks a firewall rule, it is blocked. We execute firewall rules first so that you can still see malicious requests being blocked in live traffic and which firewall rule they broke. The IP blacklist checks run next. These also execute before any WordPress code is loaded and before any database queries occur. If an IP is on the list, it is blocked at this point without generating any load on your database and without loading the bulky WordPress code. If a request makes it past the firewall and blacklist check, the WordPress code is loaded, database connections are made and the rest of the checks that we do are quickly completed. These include country blocking, brute force login protection and rate limiting. If they pass, WordPress handles the request and the user receives a response. By executing the firewall rules and blacklist check first, we massively reduce load on WordPress and your database. This prevents malicious IPs from taking resources away from your site visitors. How will the IP blacklist change over time? At Wordfence we have made a significant investment in our team and operations to give us the ability to mine attack data and produce high quality threat intelligence. We have also developed internal processes to operationalize that threat intelligence, as we have done with the Wordfence Threat Defense Feed and the new IP blacklist. Our threat intelligence capabilities are constantly evolving and improving. The list of blocked IPs will grow over time until it includes the ‘long tail’ of IPs that are engaging in less attacks and are using less common attack techniques. The list of attacking IPs at any instant is very large and we intend to get as close as possible to including every malicious actor in the IP blacklist. As always you are welcome to respond in the comments and I will do my best to reply in a timely fashion. You are also welcome to post questions in our support forums or via our Premium support website. We are very excited about this new feature. It is is a significant level-up in the protection we provide our customers and will massively reduce malicious requests across all the Premium sites that we protect. Mark Maunder – Wordfence Founder & CEO. 28 Comments on "Wordfence Launches Real-Time IP Blacklist for Premium Customers"
One of the best things I ever did for my website was to purchase Wordfence. I have never had to worry about security since that point. Thanks for all the work you guys do. WOW! This is great :) will it be OFF on default? With other words do we have to activate it first? Will the site be slower when ON? Your site will be faster with this enabled because of the reduced load. It is on by default. This sounds really good to me. Thanks for all your work Wordfence folks! Why isn't this kind of thing implemented more broadly on the web? The technology exists to identify the bad actors out there. Can the notoriously bad IPs not be shut down or filtered out at the ISP level? Do IPs get removed from the blacklist if they stop attacking, and if so, how long before that happens? Yes they do. The list is updated every hour internally. Our algorithms are complex, but the simple answer is: They'll roll off eventually, probably within a few days. Once again you folks deliver us the best possible protection. We can't thank you enough for your dedication and great work! Great addition - glad I have some Premium installs as well. This is kind of how Mailwasher works too (though that takes manual reporting (mostly)). Other than that, this could grow into some Wordfence subscription service for webhosts: they monitor incoming traffic against your blacklist so that their servers (and our sites) stay safe(r). My question: what happens if my (shared) server gets compromised and used for attacks? Wordfence starts blocking my IP, so that I can't access my own sites anylonger? How will I be able to report this to you? Or do I have to wait until my host cleans his server? But will he be informed by Wordfence? Otherwise there might occur some loop in which nobody can fix his own site(s)? Or am I overlooking something? It's unlikely that will happen Jay. The IPs on this list are engaging in (in many cases) millions of attacks per week. They're super high volume and very malicious. We also carefully track who is being blocked through our false positive monitoring, so if we blacklist a server and it impacts users, we'll know about it very quickly. Thanks for always looking out for us, this is a great idea. Keep up the good work! Would you be willing to develop a firewall plugin for cPanel servers to take advantage of the blacklist firewall at the server level instead of at each wordfence website installation level? No plans currently, but thanks for the suggestion Sean. Once again, keep up the good work! Thanks. If nothing else, this will cost the criminals more time or more money, or both, as the'll have to do a lot more to utilize IPs that are not black listed. In that way it is very proactive, though sadly it's obvious the bad IP has to make it onto the list by being bad, so someone has to suffer first. What a great feature. Honestly, I have been very happy with my free edition but this feature is a must. Way to go guys ? I'm a premium subscriber and been manually blocking hostile IPs previously (glad to be done doing that!). With the realtime blacklist should I remove all the manual blocks? Wait a few weeks and then yes, you can probably remove those. In a few weeks we will have the full blacklist running. I am a wordpress user and wordfence premium user with a small blog. Readers can take this for what it's worth but I don't necessarily agree with what you told Lin P (not that we HAVE to agree). I have a blocked url list of hundreds of entries I've compiled based on obvious attacks I've seen in my log files. I'm the only authorized editor and admin, so they're easy to spot. And, consequently, almost any attempted attack will trigger a temporary ip block because they almost always violate one of those rules. My policy is, if they attack me ONCE, I block the IP until I get around to undoing it months later, if at all. The experience of Lin P may be similar. So, my ip block list contain lots of low volume attackers that I've personally found. These IP's probably will not be on your mega block list at all, which you've said are the really malicious high volume ones. So, if I remove them from my list, they probably won't be blocked at all. That's why I think my personal list should stay there. Hope that makes any sense. Side note, is there a way to get an email notification when someone replies to one of our comments here? Yay! Yay! Yay! Thank you! Thank you! Thank you! This attack traffic shouldn't even be allowed to traverse the internet (assuming you someone can identify and classify it). Anything you can do to curb it is GREATLY appreciated. I just have a little blog and my dashboard says you've deflected 5000 attacks in half a month. That those attacks are there is disgusting, coming from the slime of humanity. That you're stopping them is great. PS to prior comment. I noticed that the help for this ip blocking feature says something about a load reduction if my firewall is set for extended protection. I can't use extended protection since my installation is in managed or safe mode at the ISP. Do I still get the benefits of the feature? Yes you still benefit from this feature if you're not using extended protection, but the load reduction will be less. Thanks for making this a Premium feature instead of free, as that'll perhaps inspire a few more paid users, which perhaps will in the end bring your prices down in a virtuous cycle. This is a fantastic addition Mark. :) I've just updated our Wordfence tutorial to mention the new real-time IP blacklist.